April showers may bring may flowers, but every homeowner knows that they also bring problems. Is your basement flooded? Are the walls weeping? How much mud have you tracked into the house? Are those nice new shoes “toast” now? It’s great to be done with the winter, but the spring can cause just as many problems. As if you didn’t have enough on your plate this month, you might have to worry about your antenna. Winters can be hard on electronic components. Most modern antennas have a circuit board in them that converts from the antenna’s own impedance of 300 ohm, down to an impedance of 75 ohm. This allows for the use of coaxial cable. Coaxial cable is more robust and less likely to be affected by interference from your home’s wiring. That little circuit board works every day, day in and day out. However, if it’s gotten wet or frozen over, it could fail altogether. This can happen when ice forces cracks in waterproof casings. Or, cracks can form when the sun beats down on plastics, causing them to become brittle. A little bit of water, and all of a sudden things look very bad. Wind and rain can take their toll on the antenna’s mount as well. The antenna might have seemed firmly mounted to the mast last fall, but keep in mind that metals shrink and grow at different rates as they get cold and heat up. By now you might have problems you didn’t know existed. What can you do… and when? If it’s save to go on the roof, and you feel comfortable doing it, go up there today. Go up there even if you’re getting great TV reception. Inspect everything. Do you see any signs of corrosion? Do you see any cracks in any plastic parts? If you shake things gently, does water appear from unexpected places. If you see any of these problems it’s time to take action. Every situation is going to be different. Getting things shipshape might take nothing more than a new end put on an existing cable. It might take replacing a balun to make sure that the connection from antenna to cable is complely secure. Or, it might mean replacing the antenna altogether. You’ll have to decide how bad things are when you get there. Even if things look shipshape, you’ll want to check to make sure the antenna is securely mounted to the mast. You’ll want to check the tension on chimney mounts, and inspect any areas where you have drilled into the roof. You don’t want leaks now that the rainy season is upon us. While you’re thinking about it, don’t forget to scan for channels. Channel assignments will be changing throughout 2019 so it’s smart to rescan every few weeks until next spring. You are in luck. 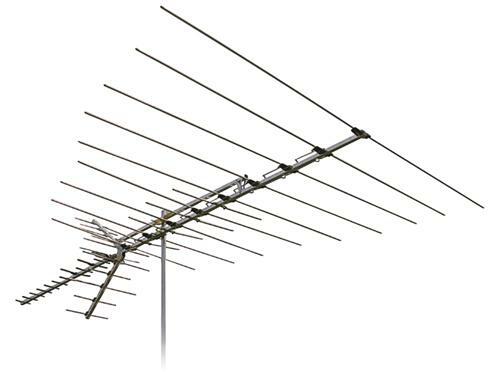 You’ll find a fantastic selection of antennas from tiny to giant, all at Solid Signal. You’ll also find tons of free technical support, articles and diagrams, everything you need to make all your free TV dreams come true.